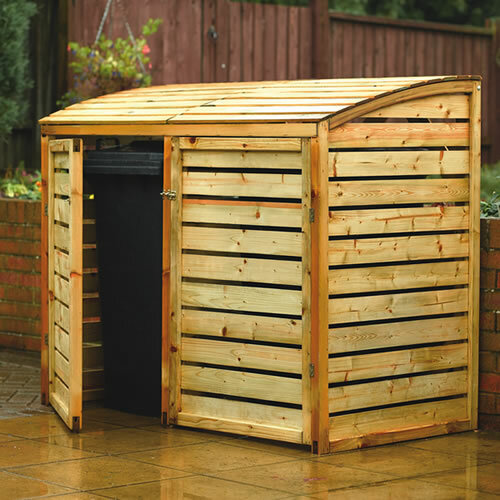 A vast selection of wheelie bin and recycling box Storage units, screens and garden storage solutions. 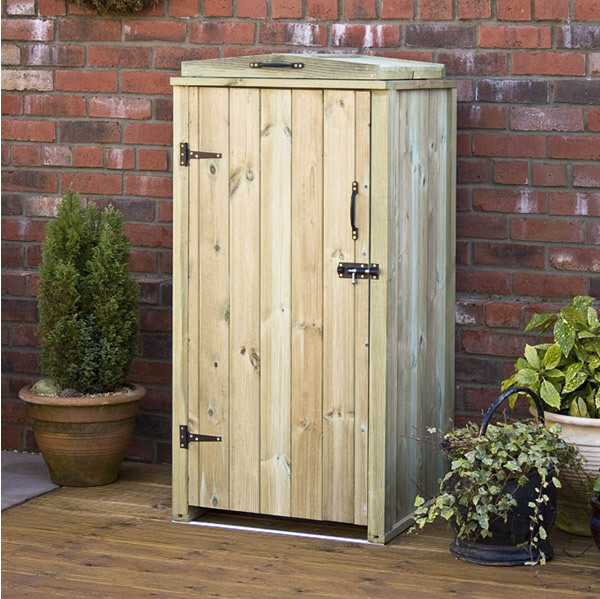 These products are available in wood and metal to suit any outdoor space. 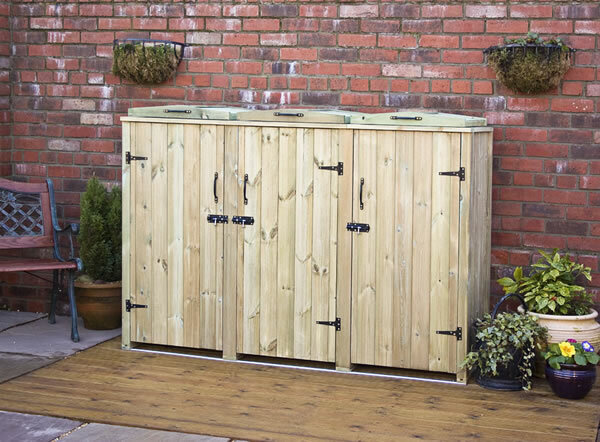 These wheelie bin and recycling bin storage units come in a variety of sizes with single, double and large triple designs. 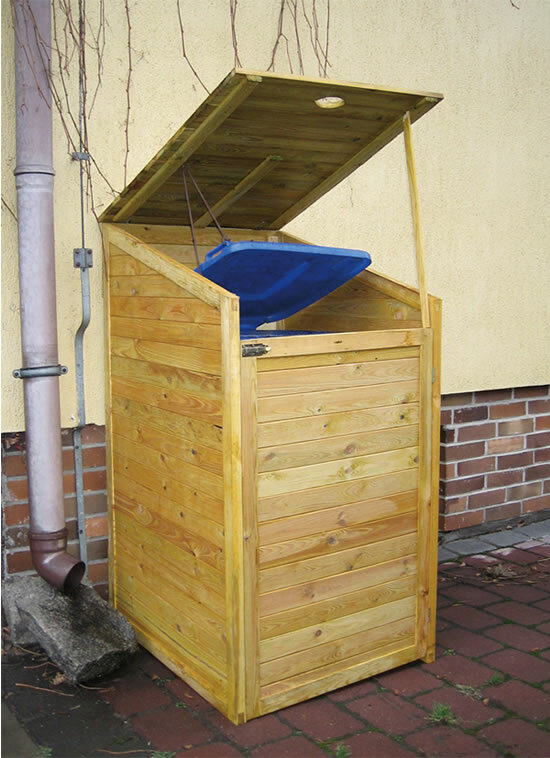 Including combination designs to hold both wheelie bins and boxes. There is even a design for an alleyway! 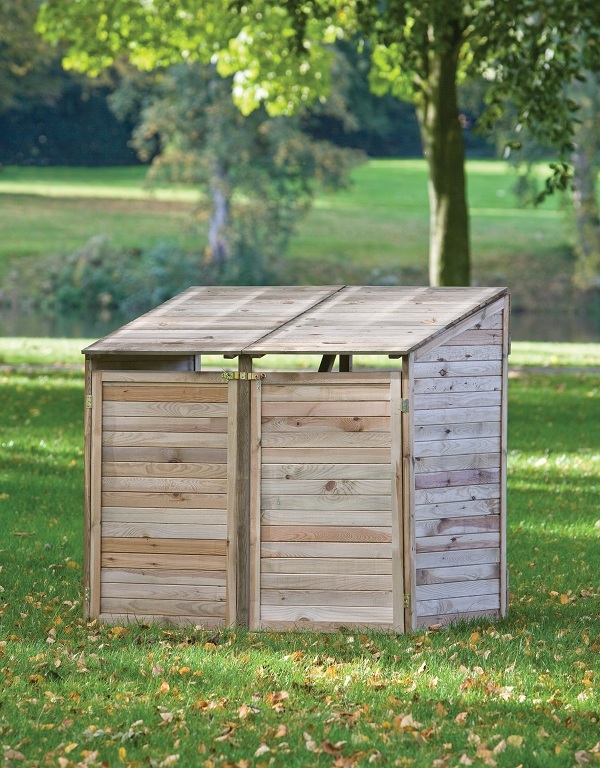 These effective stores are adaptable and easy to use, available in a range of sizes to suit your requirements. 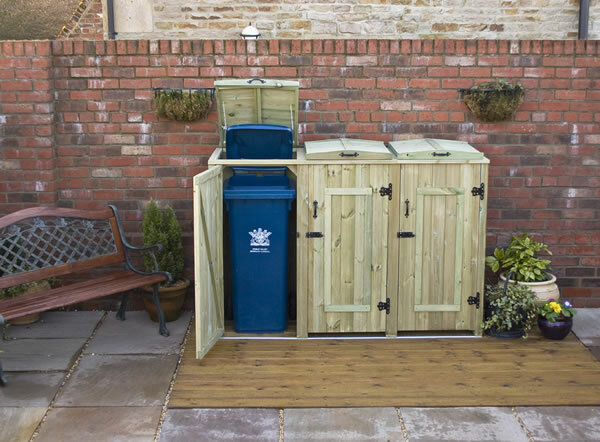 Hide away your wheelie bins and recycle boxes with our superior Combination Wheelie Bin Recycle Box Stores. 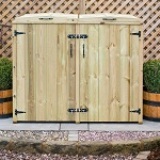 A double wheelie bin chest designed to store 2x140 litre wheelie bins. 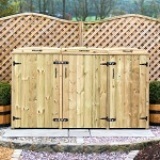 Manufactured using pressure treated tongue and groove panelling. 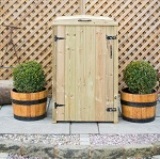 A double wheelie bin chest designed to store 2x240 litre wheelie bins. 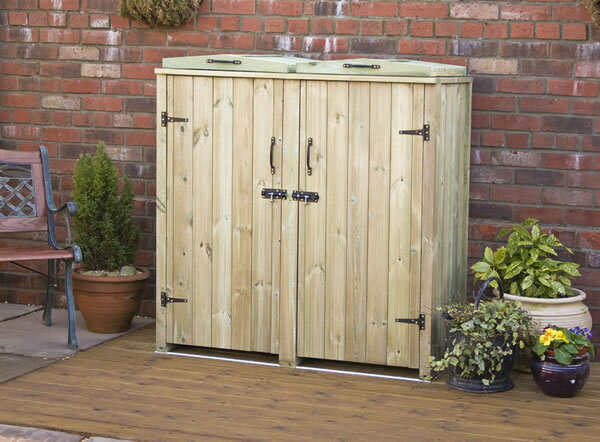 Manufactured using pressure treated tongue and groove panelling. 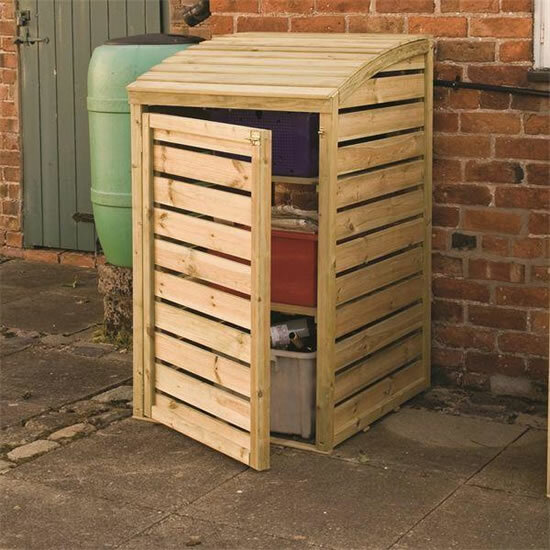 Handy box Store from Rowlinson, ideal for your recycling boxes. With hinged lid and door. 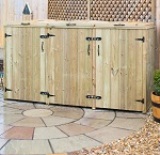 Pressure treated with a natural timber finish. 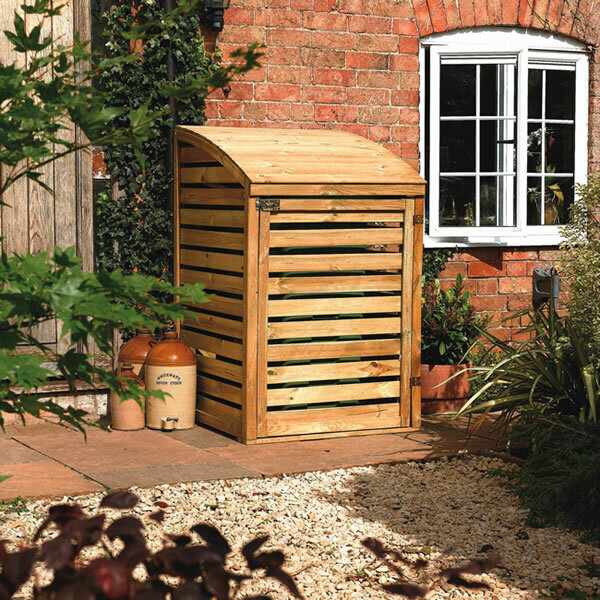 A single wheelie bin chest designed to store a 140 litre wheelie bin. 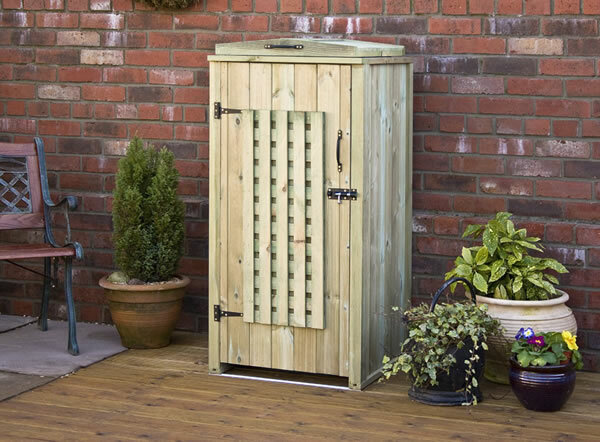 Manufactured using pressure treated timber for longevity.